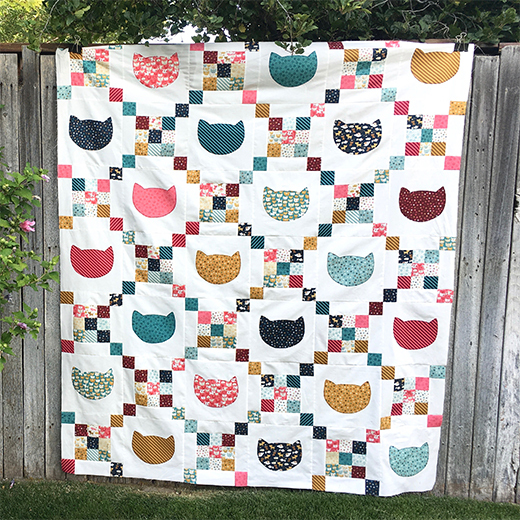 The Cats & Scraps Quilt designed by Amanda, aka Jedi Craft Girl, The Pattern is available for free. "You will love how easy this quilt comes together and I love the scrappy feel it has! It’s the purrrrrfect size for you and your fur baby to cuddle with!!"